Celebrated with great fervour, this festival of Krishna Janmashtami involves a 27 step worship process, performed with prayers and hymns in the praise of the Lord. Krishna Janmashtami is celebrated to commemorate the birth of Lord Krishna, the eight avatar of Lord Vishnu in the human form. This festival is celebrated by praying Lord Krishna, singing prayers in his praise, chanting mantras and fasting until midnight. 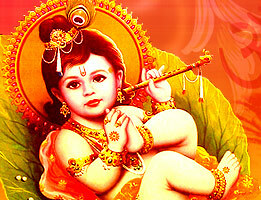 Janmashtami is a very sacred day for Hindus. A lot of hymns chanting, bhajan offering and pujas are performed on this day by devotees to seek blessings of the lord. Prayer meetings are also organised on this day, where devotional songs are sung and glory of the lord is shared. Dhyaanam Samarpayami: It is about remembering the God, meditating and immersing in the worship of Lord. Aawaahanam Samarpayami: It means inviting the Lord in your heart and asking him to cleanse the soul. Aasanam Samarpayami: Like we offer seat to the guest, here we offer seat to the God. Paadyam Samarpayami: Washing the feet of the lord is the most pious thing. Arghyam Samarpayami: Offering water to the Lord to wash hands. Aachamaneeyam Samarpayami: It is about presenting water to the guest to drink. Snaanam Samarpayami: Giving a bath to the Lord. Maha Abhishekam Samarpayami: Giving the Lord main bath with ghee, curd, milk and honey. Pratishtaapayaami: It is about making the Lord in the form of guest seated. Vasthram Samarpayami: Offer new clothes to the Lord, preferably yellow. Yajnopaveetham Samarpayami: Presenting with the Holy Thread. Gandham Samarpayami: Apply sandalwood paste on the forehead of the Lord. Akshatham Samarpayami: Apply rice (Akshatha) on the sandalwood. Pushpam Samarpayami: Flowers are then to be offered to the Lord. Ashthothtra Poojam Samarpayami: Chant holy names of the Lord, about 108 names. Dhoopam Aaghraapayaami: Incense sticks or fragrance is offered to the Lord. Deepam Darshayaami: Show light or diyas to the Lord. Neivedyam Samarpayami: It is about offering scrumptious food to the God. Phalam Samarpayami: Fruits are then offered with the meal. Taamboolam Samarpayami: Betel nut wrapped in leaves, are offered after the meal as it helps in digestion of the food. Dakshinam Samarpayami: Wealth in the form of gold or silver coins, are offered to the God. Maha Nirajanam Samarpayami: Aarti is then performed to praise the God. 23. Pradakshinam Samarpayami: Aarti is then continued, devotional songs are sung. Namaskaram Samarpayami: Prostate or bend down in front of the Lord, touch his feet and take the blessings. Mantra Pushpam Samarpayami: Chant mantras and offer flowers in the feet of the god. 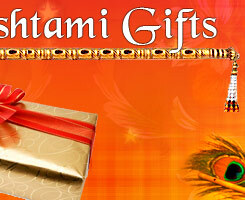 Praarthanaam Samarpayami: It's about offering prayers and wishing, requesting to fulfil your desires. Xamaapanam Samarpayami: Asking for forgiveness for all your wrong deeds. After the entire puja gets over, the worshippers have panchamrit and break their fasts. Some people choose to perform puja at midnight and then break fast, while there are many devotees who perform puja in the evening and have food.